This week on the podcast I am bringing you a solo episode.. A raw part of my sobriety story that I have not yet shared on the pod. For years I searched outside of myself to feel a certain kind of way. I used alcohol to numb my emotionality because I didn’t know how to feel. I relied on men and other people outside of myself to feel wanted, worthy, enough. I got to a point where I didn’t know what I wanted or who I was anymore. In this episode I talk about all of those things. 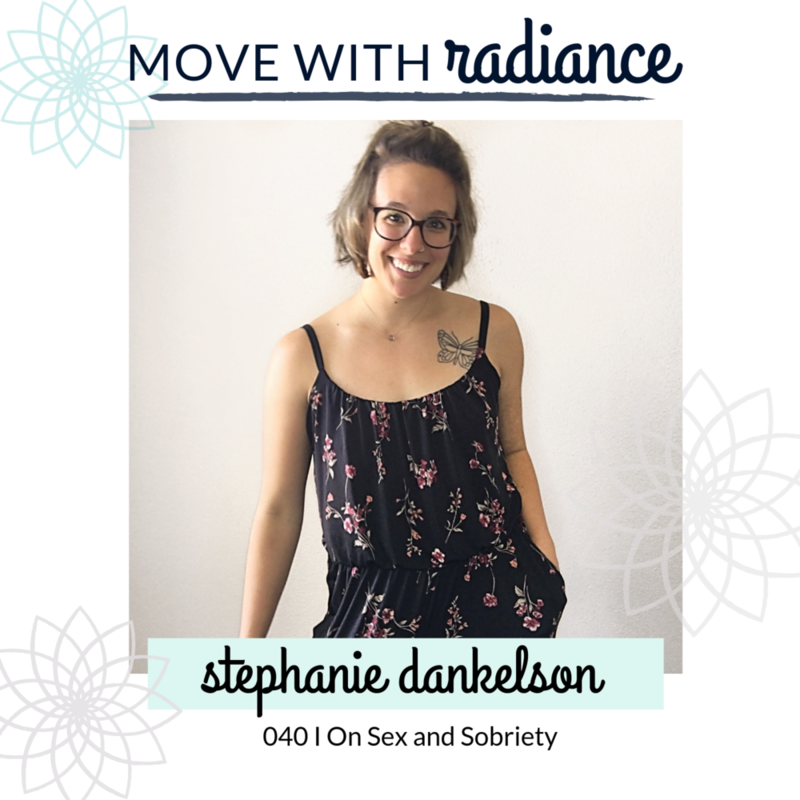 I talk about my breaking point in Colorado where I knew I needed to make some kind of change, any kind of change because I felt so unfulfilled, so empty from the booze, from the nights out, from constantly trying to get external validation. 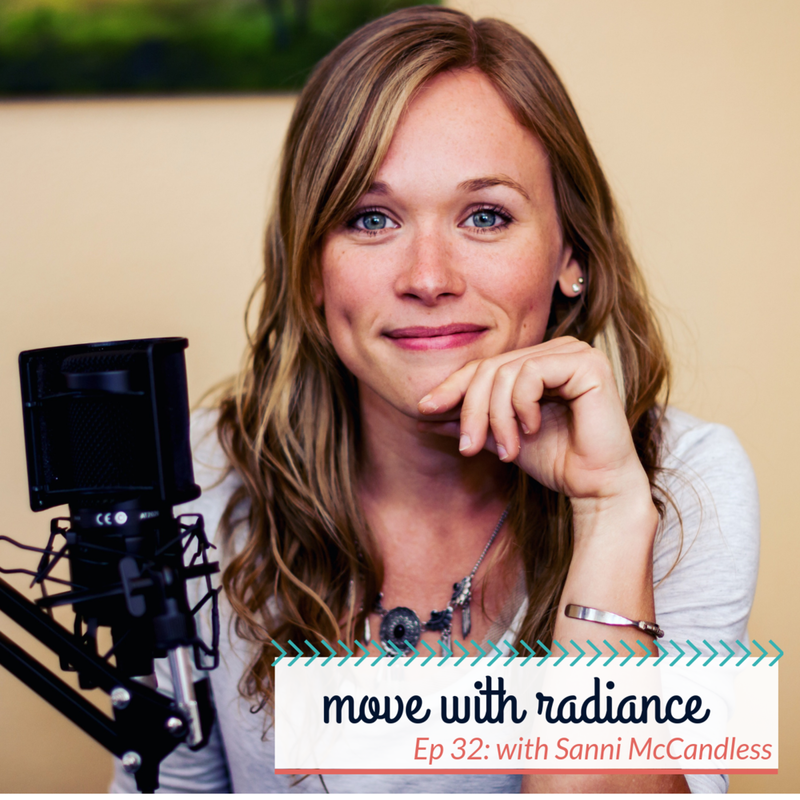 I talk about how using our external world to feel something doesn’t work for the long run. It is such a temporary, unfulfilling way to search for wholeness. Because in the end, we are the only ones that can truly embrace and feel our worth.. It already exists, we just need to lean into it. To feel it. To truly start believing it. No drink or one night stand or external vice will truly bring us those things. This week on the podcast I am bringing you a guest episode with the lovely Maddy Moon. A few months ago, I came across one of Maddy’s podcast episodes on Sexual Shame. It soo resonated with me and felt we needed to be having more conversations like this. 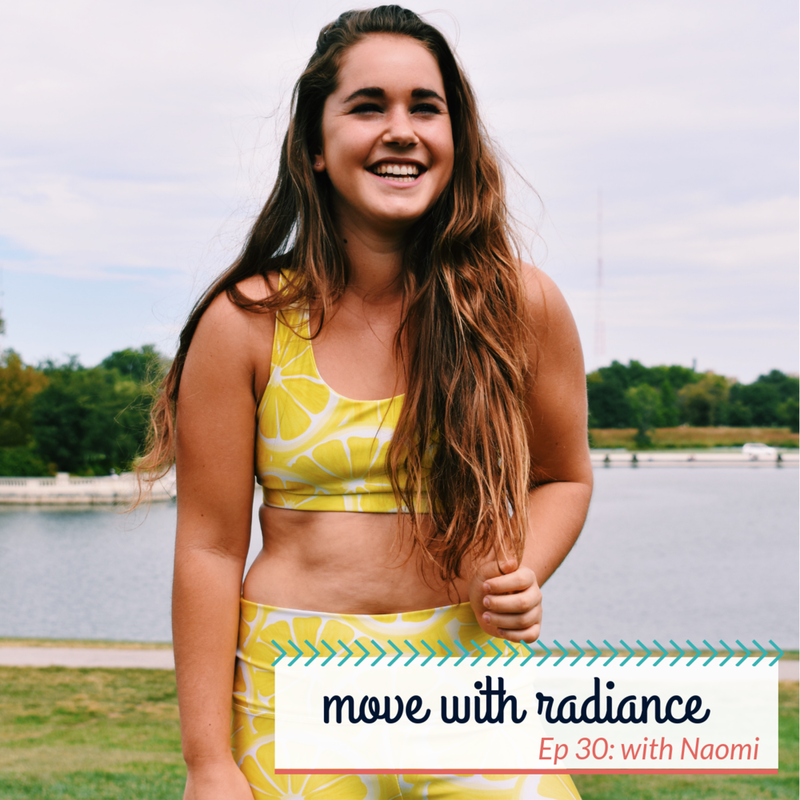 So, in this episode we dig into why we think women have shame around our sexuality today, how we can begin to speak our truth/honor our intuition rather than always listening to other people's expectations of us, masculine energy vs feminine energy, how we can start supporting our fellow sisters, getting back into our bodies, allowing ourselves to experience pleasure and so much more. A little about Maddy: Madelyn Moon is an author, podcast host, retreat leader and transformational life coach. She is a guiding force for masculine-minded women who want to stop over-thinking their lives away and live with more trust, intuition and feminine flow. 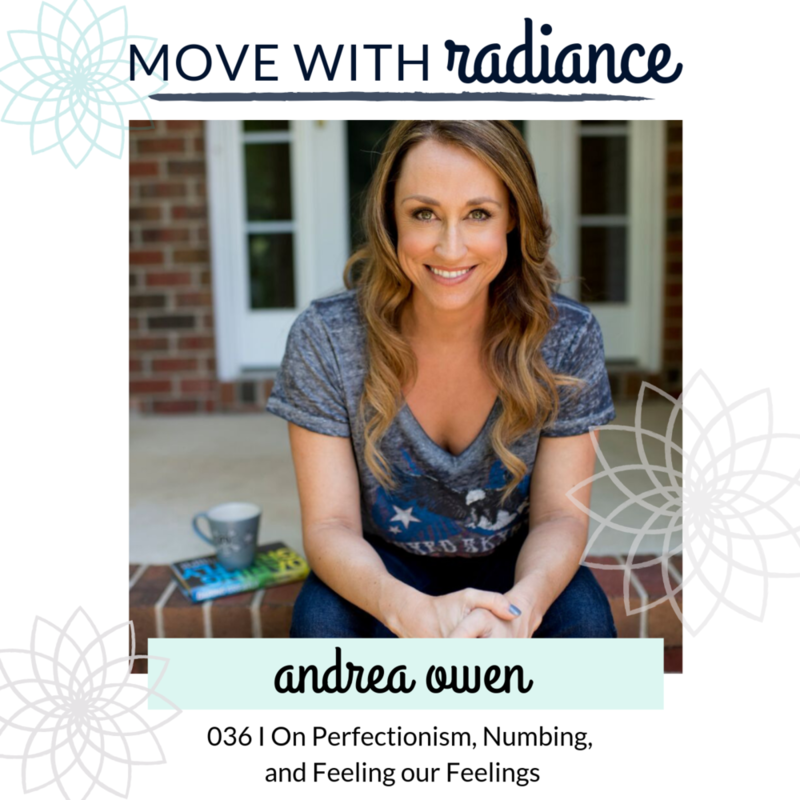 Driven by perfectionism for years, Maddy found herself always trying to do more, be more and accomplish more-- a dangerous cycle that only led to more distance between her and her dreams, self-love and intuition. Through meditation, embodiment, and the art of slowing down, she healed her heart, embraced her unique feminine essence, and learned to love her tender body; she teaches others across the world to do the same through her podcast Mind Body Musings, website MaddyMoon.com and ongoing retreats. This is an honest conversation between two women about the change we hope to continue seeing. My hope is it will spark even more conversations and we can keep building sisterhood between all women. Please go check out Maddy and her work, she is truly a beautiful soul. This week on the podcast I am bringing you a bonus solo episode. I wanted to use this space to break down a workbook I recently created about ending our guilt around food. 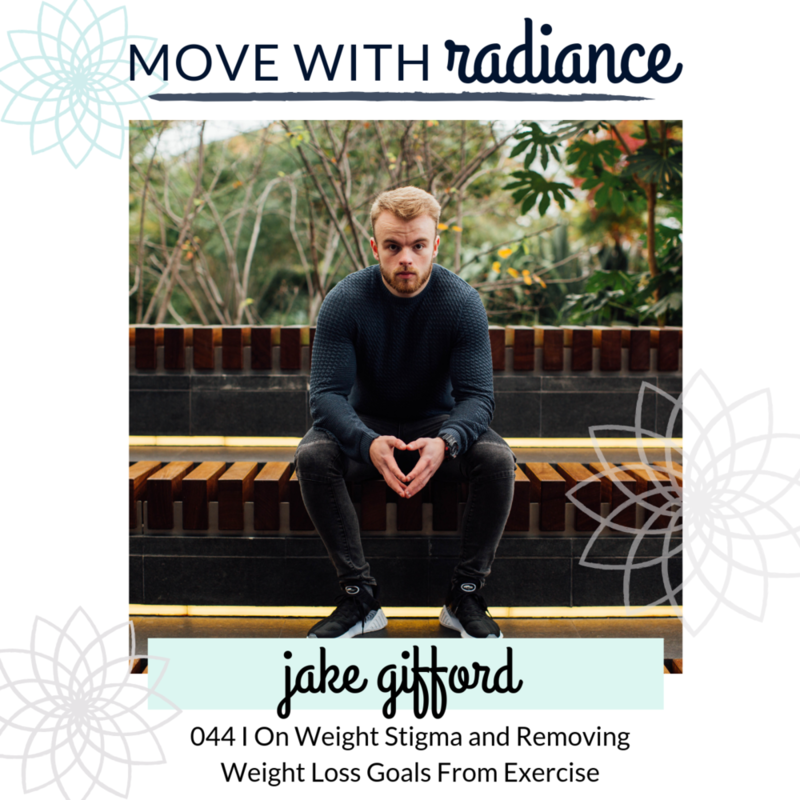 The binge restrict mentality was my cycle for years and it was the secret I kept from the rest of the world. Everyone thought I was “the healthy one..” so that is the identity I chose to live out day after day. I always felt like a fraud. I felt trapped in a body I didn’t know or want. I so desperately wanted to feel free, to escape from the constant guilt. The constant chatter of you’re not doing enough. And I know I am not alone in this. So, in todays episode I dive into part two of this series to uncover the layers, help understand where the guilt is coming from, and ultimately show how we can start moving forward from a place of love instead. The content goes hand in hand with a workbook I recently created (you can get that link on my website or in the show notes) I encourage you to follow along. Let me know if you have thoughts, feedback, questions, and if you are following along. I hope you enjoy this episode! This week on the podcast I am bringing you a solo episode. I wanted to use this space to break down a workbook I recently created about ending our guilt around food. 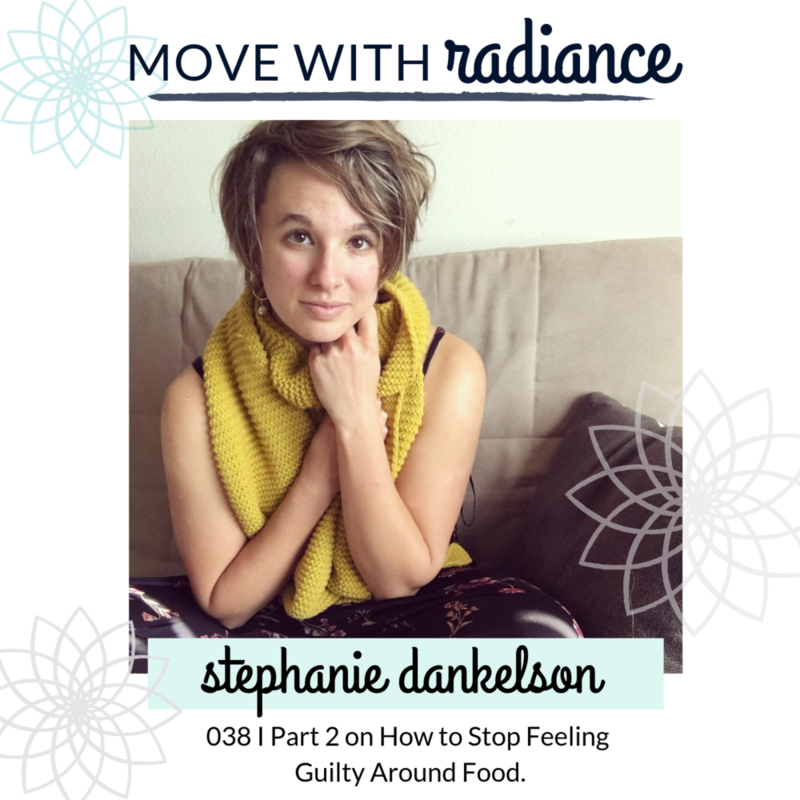 So, in todays episode, I go through the layers to help understand where the guilt is coming from and ultimately how to start moving forward from a place of love instead. The content goes hand in hand with a workbook I recently created (you can get that link on my website or in the show notes) I encourage you to follow along. PLEASE let me know if you have thoughts, feedback, questions, and if you are following along. I hope you enjoy this episode. 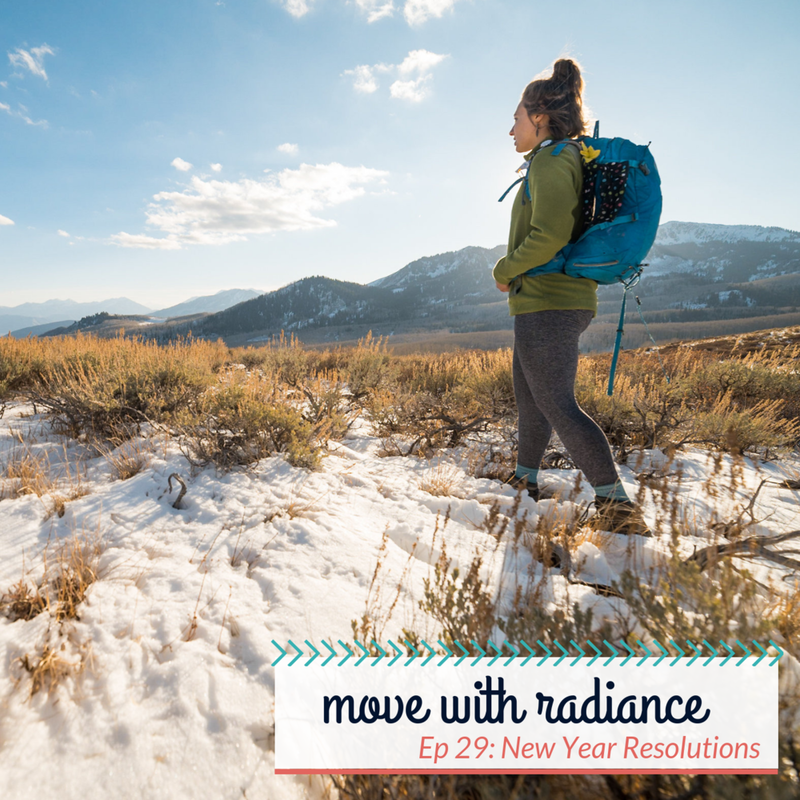 Why I want to create a new conversation around the New Year (instead of focusing on losing weight, hopping on a new meal/exercise plan, or giving into the pressures of diet culture), what that means, and how you can jump on board. 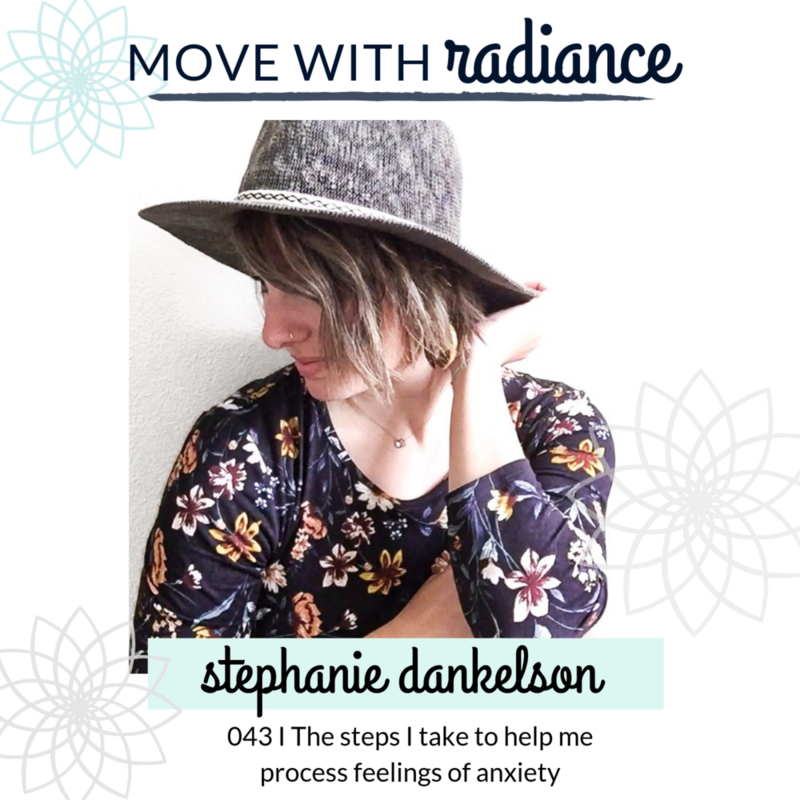 If you want to follow along, you can use the hashtag #movewithradiance and tag me (@stephaniedankelson) so I can support you on your journey! I have also created a private Facebook page for anyone who is interested in extra support around the New Year and in changing the relationship they have with their bodies/exercise/food. Request to join here. Please feel free to share this episode with friends, family, or anyone who you think might need a different message this holiday season. Let’s start changing the conversation around the New Years and learn how to come home to our bodies. Expect the official season to launch January 3rd and I cannot wait to have you all along for the ride! So this is the final episode of Season 1!! I want to say THANK YOU for all of your love and support and for showing up week after week, I seriously can’t do this without you. Again, THANK YOU for being on this ride with me, I so appreciate you all. We will all chat very soon. This week on the podcast I am bringing you an interview with two incredible people, Jess and BJ. I LOVE conversations like this one.. I went in prepared with some questions and didn’t hit on any of them because the flow and natural convo was everything my heart wanted to dig into. We touched on topics that are so resonate with the learnings I am leaning into right now in my @hungryforhappiness certification program like actually feeling and leaning into our emotions (and getting out of our own way when doing so), Scarcity vs Abundance mindsets, how our beliefs, thoughts, and feelings affect our actions and therefore results in life, setting an intention and energetically aligning our choices with that intention, how our triggers are a vehicle for our healing, white light paint suits and more. Folks, this is a must listen. YogiTriathlete is the lifestyle, wellness and coaching team of Jess and BJ Gumkowski. It is centered around their passion for sharing a recipe of vibrancy that has transformed the way they approach everything in their life. It’s a recipe that takes the work out of life and gives entry to the coveted flow state. Jess and BJ refer to this process as tapping into the inner badass. Jess is a 500-hr Live Love Teach trained yoga and meditation instructor, board-certified massage therapist, 4x Ironman triathlete, 2x 50k ultrarunner, Vegan Lifestyle Coach and Educator, writer, speaker and podcast host. 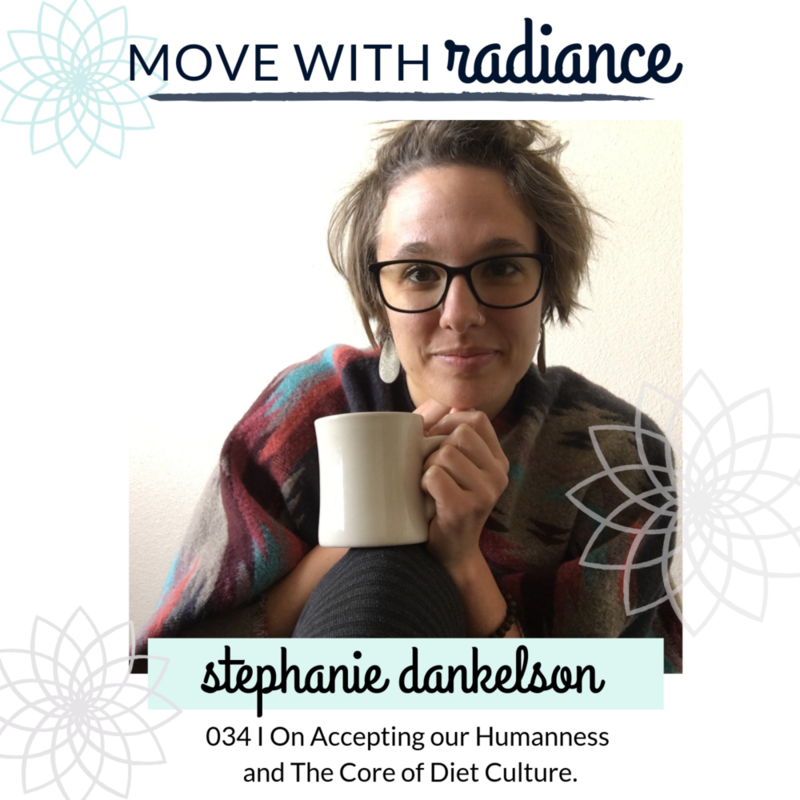 She credits mindfulness practices and high vibrational eating with creating significant and meaningful changes in her health, career, and relationships; and holds both essential to peak performance in sport and life. BJ is a 13x Ironman triathlete, Ironman 70.3 World Championship and Boston Marathon qualifier, personal trainer, triathlon and running coach and a 200-hr Live Love Teach trained yoga instructor. He is a wellness advocate and is certified in Plant-Based nutrition from the T. Colin Campbell Center for Nutrition Studies. His zeal for life is infectious as is his passion for serving those around him in achieving their greatest dreams.